Clothing/Jewelry Description A blue hooded sweatshirt, blue jeans, sneakers, and three gold rings on her left hand. Carrying a brown purse and a cellular phone. Distinguishing Characteristics Caucasian female. Blonde hair, blue eyes. Williams was born with reversed club feet and had surgery to correct the deformity. Her tongue and ears are pierced, she has previously broken her wrist, and one of her lower front teeth is missing. Williams has the following tattoos: the letters "K S A" on the fingers of her left hand, a unicorn's head on her right ankle and two feathers on her right arm. Her nickname is Rae. 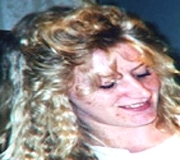 Williams was last seen at approximately 1:30 a.m. on March 13, 2007, at her workplace, the Eagles Lodge on Highway 14 in Ava, Missouri. She put the night's receipts in the safe and called her boyfriend to let him know she was coming home. She never arrived home and has never been heard from again. Williams's vehicle was found in the parking lot the following morning. Nothing was missing from the lodge. In July 2009, police arrested Christopher E. Revak and charged him with second-degree murder in Williams's case. A photo of Revak is posted with this case summary. He was a patron of the Eagles Lodge, but he came there only a few times a year and apparently didn't know Williams. DNA evidence supported the charges. The day after his arrest, Revak hanged himself in his cell. Authorities stated they were still actively looking for Williams's body. They believe Revak was a serial killer and have linked him to three other murders in two states. Williams resided in Mansfield, Missouri at the time of her disappearance. Since she went missing there has been no activity on her cellular phone or financial accounts. Her loved ones describe her as a devoted parent who would not have willingly abandoned her four children. Foul play is suspected in her case due to the circumstances involved. Updated 4 times since October 12, 2004. Last updated August 28, 2009; details of disappearance updated.